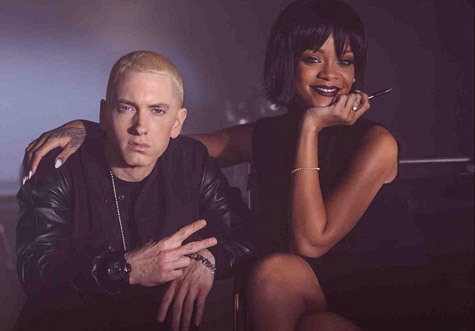 Eminem and Rihanna are teaming up for a “Monster Tour” this summer. The music megastars have announced a three-city tour together. Hot on the heels of their No. 1 single “The Monster” off The Marshall Mathers LP 2, the two will play stadiums this August, according to XXL. Concerts are planned for New York, Los Angeles, and Detroit. The Detroit rapper is currently on his “Rapture” tour in Australia with Kendrick Lamar and J. Cole, while Rihanna wrapped her “Diamonds World Tour” last year. I love this song so much, Eminem and Rihanna I love u guys.